Michele Bobadilla is a native Dallasite who believes passionately in her community and in the power of its people to effect change. Ms. Bobadilla demonstrates her commitment and civic responsibility daily through her active involvement in education initiatives, civic boards, and volunteer organizations. Her involvement spans thirty-six years. As an advocate, educator, and community volunteer, she exemplifies the best in all of us! Ms. Bobadilla’s openness and generous spirit coupled with her dedication, perseverance, organizational skills and leadership have garnered widespread community support. Michele’s years of advocacy, community service and leadership have opened doors to higher education for thousands of students. By leveling the playing field, she has ensured access and equity through opportunity and empowerment. Her desire to serve as a catalyst for change for the betterment of the community-at-large is a tremendous asset. When she is determined to make something happen, she is able to energize and mobilize people into action. She champions higher education for others by promoting access and equity through extensive outreach and community partnerships forged with community based organizations. “Ms. Bobadilla has a lifelong commitment to empower young people with opportunities. To make this outcome possible, she serves as a role model, advocate, and mentor,” stated Hector M. Flores, former National President, League of United Latin American Citizens. Actively engaging the Greater Dallas/Fort Worth metro area by volunteering evening and weekend hours to organizations offering opportunities for growth and lifelong learning; serving on state councils; and working with national boards to affect change underscore her passion for developing a pipeline of educated students that will change the world – this will be one of her greatest accomplishments. 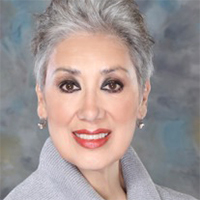 Ms. Bobadilla established the Society of 100 Endowed Scholars’ Fund in cooperation with the Greater Dallas Hispanic Chamber of Commerce and community partners to ensure an educational legacy for the Greater Dallas metro area students pursuing a higher education. As chair of the Stars on the Rise Scholarship Program, through collaborative partnerships, she raised over $4.7.million dollars in 2012. As a result, 273 students of all ethnic backgrounds were awarded substantial scholarships in order to pursue their dreams of a higher education. Michele also served as co-chair for the Fort Worth Hispanic Chamber of Commerce’s scholarship program in order to help them grow and forge vital partnerships that will benefit area students.